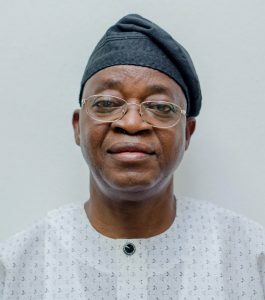 Many residents of Osogbo and Iwo on Wednesday commended the candidate of the All Progressives Congress in the September 22 governorship election in Osun State, Alhaji Gboyega Oyetola, after benefitting from his free surgery project. Over 160 patients have had lumps removed from various parts of their bodies and cataract from their eyes in the two cities since Monday. The patients were treated under the Ilerioluwa Free Health Mission, which was brought to the state by Oyetola. His campaign is themed: Ilerioluwa. While 100 patients were operated upon at the General Hospital, Iwo on Wednesday, over 60 patients have had cataract removed from their eyes at the Ladoke Akintola University of Technology Teaching Hospital, Osogbo since Monday. They are part of the over 10,000 people that have been treated free under the project. At Iwo on Wednesday, many of the beneficiaries showered praises on Oyetola for coming to their aid. One of them, Risikat Amoo, who had a lump removed from her breast, showered praises on the APC candidate for rescuing her from the dangerous health condition. According to Amoo, she had been living with the lump for years due to inability to raise the funds for the treatment. She said her entire household would be eternally grateful to Oyetola and members of the medical team for bringing smiles to their faces again in Iwo. At the teaching hospital in Osogbo, over 20 people have had free cataract surgery daily, restoring their original sight. People of different ages, male and female, expressed gratitude to Oyetola for restoring their sight free-of-charge at the hospital. They prayed God to give him sound vision physically and spiritually as he hopefully takes over the mantle of leadership of the state in November. The patients and their relations left the hospitals smiling as they expressed support for the APC candidate. The Chief Operating Officer of the free surgery project, Dr. Isiaka Adekunle, expressed satisfaction with his team’s performance and the enthusiasm of residents of Iwo. Adekunle said: “It has been a fantastic experience so far. “People are responding with great enthusiasm. “They are also so appreciative of our work. “When we see the joy on their faces after the surgery, we cannot but be happy for being part of this project that is impacting positively on the poor people in the society. Commissioner for Health, Dr. Rafiu Isamotu, who also visited the team at the hospital in Iwo, expressed gratitude to the medics on behalf of the APC candidate. Isamotu said the charity efforts were well recognized.